The Whiskey A Go Go, a club on the Sunset Strip in West Hollywood, California opened in 1964 and was a springboard for many successful artists, including Van Halen, Mötley Crüe, Guns N’ Roses, The Doors and Led Zeppelin. 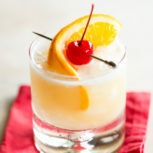 Shake the whiskey, lemon juice, simple syrup and egg white in an ice-filled cocktail shaker. 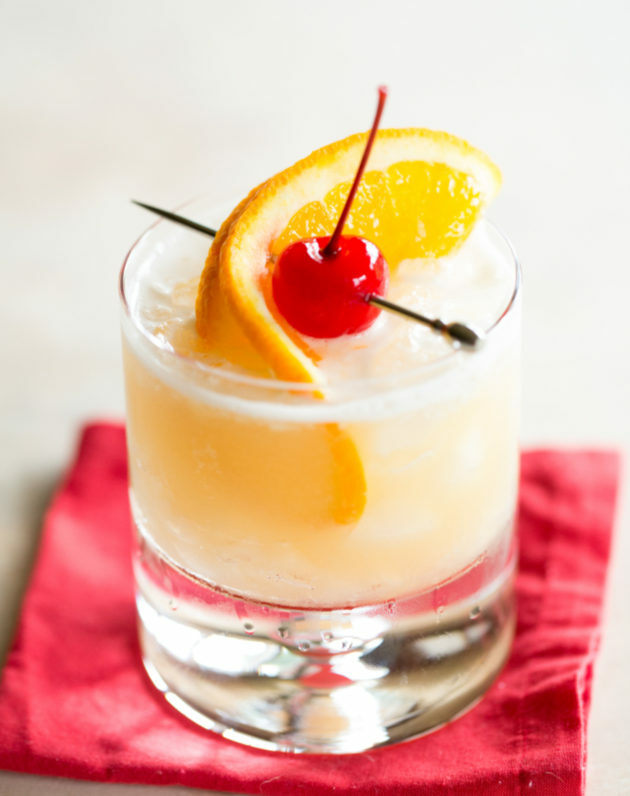 Garnish with the orange wheel and maraschino cherry, and serve.